The 2016 Louis Vuitton America's Cup World Series (ACWS) opened in Oman with a solid performance from the Land Rover BAR team. A third place finish in the opening race was followed up by consecutive wins in the second and third races, leaving them four points clear – and at the top of the leader-board in Muscat. There was no shortage of action despite the light wind conditions with multiple passes, penalties and lead changes. 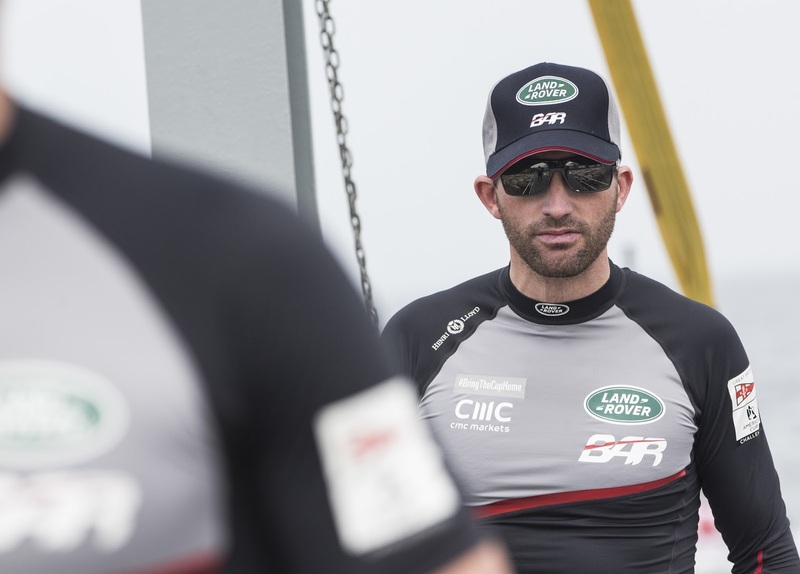 Land Rover BAR were pushed over the line by Groupama Team France in the first race, and had to take a penalty, but with fast boat speed and good tactical decisions they recovered to place third. "A really big day for the Tacticians. Giles Scott did an awesome job for us, getting us going in the right direction and making the right choices on the modes that we sailed the boat, and the sails that we used. "We're really pleased with that [second] race, it was a case of keeping it simple. The manoeuvres are so costly, so you have to get a good start, we did that then it was a question of getting to the bottom gate and staying clean from there. "Day one of Oman was as expected with light winds, we have done a lot of training in these conditions back home and it really paid off today. We are moving forward through the fleet which always feels good. And especially in the last race we seemed to have good speed, good boat handling and good tactics, and that won us the race so everyone is really happy with race day one in Muscat." 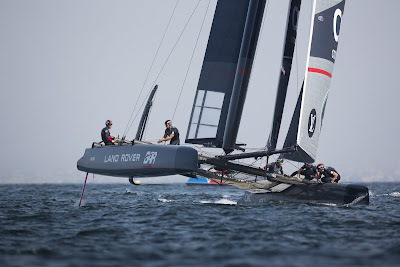 Racing continues tomorrow (Sunday) at 1400 local time (GMT+4) with three races scheduled.